We are a small team of cooks who are passionate about our product. We have a great time working together! Everything is made by hand in small batches and in trays no larger than 16 pieces - because we have found that that is the only way to get it perfect. 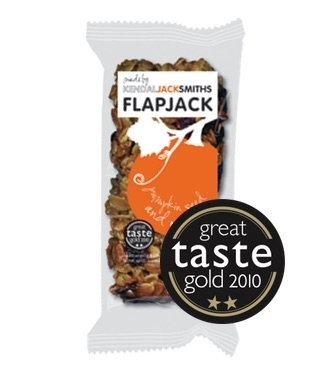 As well as winning 'Speciality Producer of the Year' our handmade artisan flapjacks picked up a total of 14 stars in the 2010 Great Taste Awards including two of the top three star awards. 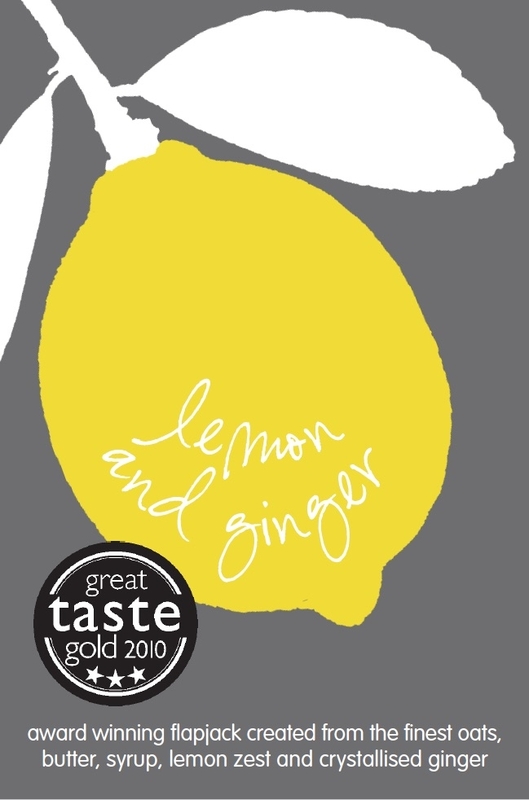 They were also overall winner in the 2008 Northwest Fine Foods Awards, Bakery and Confectionary category. 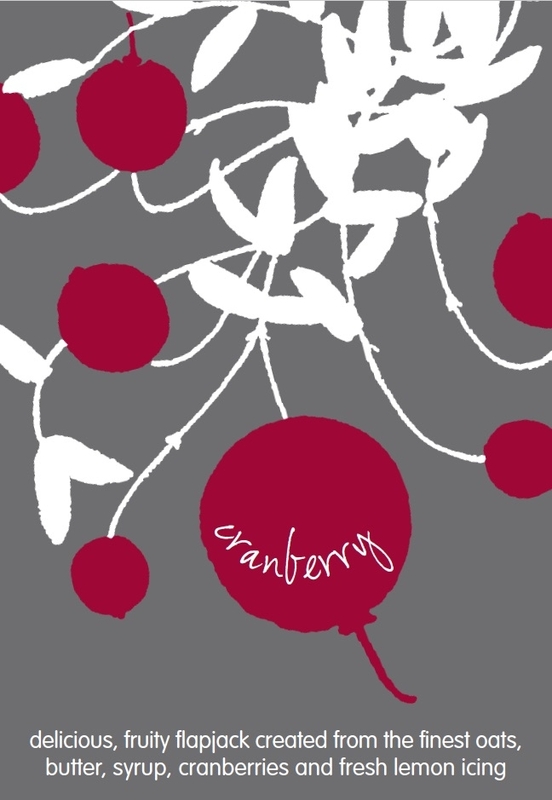 There is no compromise whatsoever on the quality of the ingredients. They are all 100% natural and we hold blind tastings to recheck that we really are using the best. 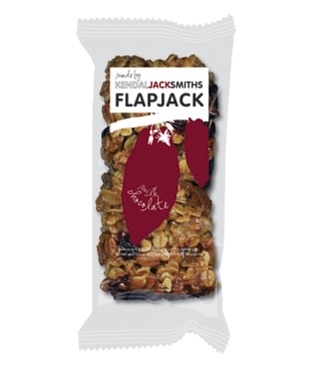 The recipe for our first Finest Plain Flapjack evolved out of one handed down from a friend's granny. New recipes are tried and old ones carefully improved. 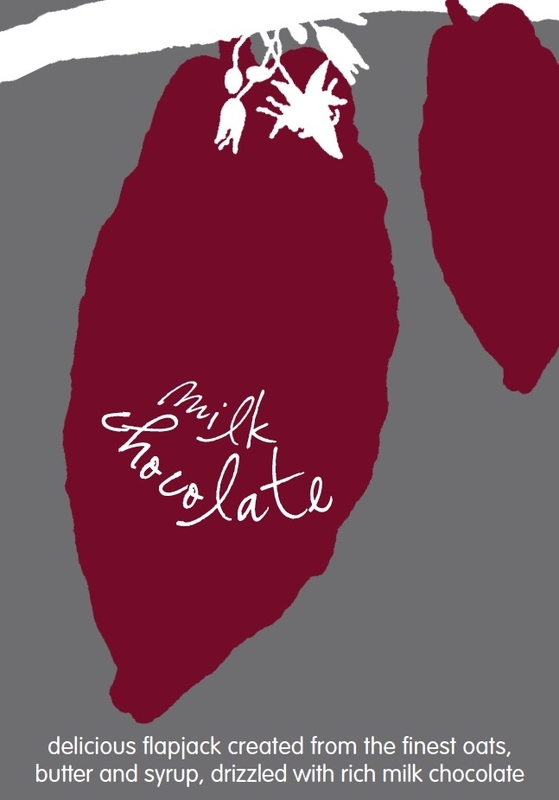 There are ten different flavours to choose from so there is something for everyone. Our environmental credentials? The packaging is very light weight. The bulk boxes are always either second hand or reusable ones that we take away after delivery. 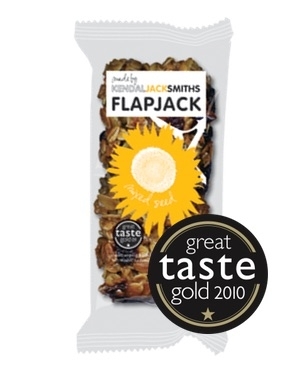 The flapjacks themselves have fairly low carbon even with the butter because oats are such a great low carbon food. We even do the odd small delivery by bike - although in truth that's more for fun than to save the world. The only air freight is to support climbing professional Leo Holding on his many expeditions, including his first ascent of Mount Asgard on Baffin Island. (He got to the top, of course). 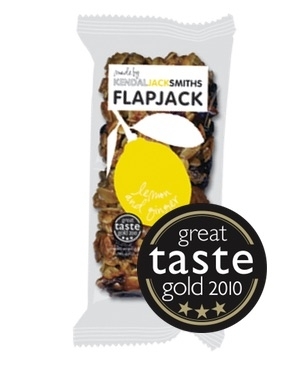 Our Lemon and Ginger flapjack is made using lemon caps, freshly ground ginger and topped with chunks of crystalised ginger. 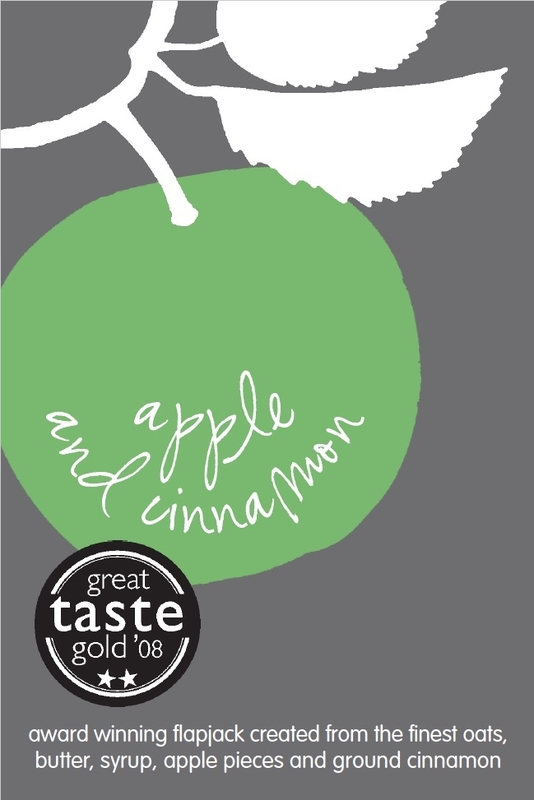 One of only 96 UK food products to have been awarded the top three stars in the 2010 national Great Taste Awards. 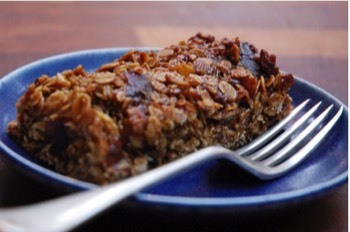 Deliciously chewy, made with molasses and hand-chopped dates. 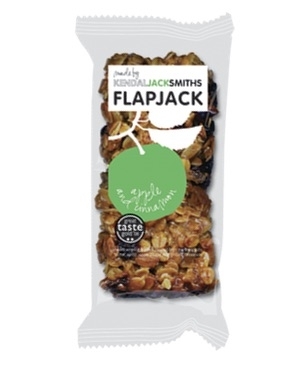 Our Pumpkin Seed and Orange Flapjack is created with toasted pumpkin seeds, zesty real orange and, of course, the finest oats, butter and syrup. 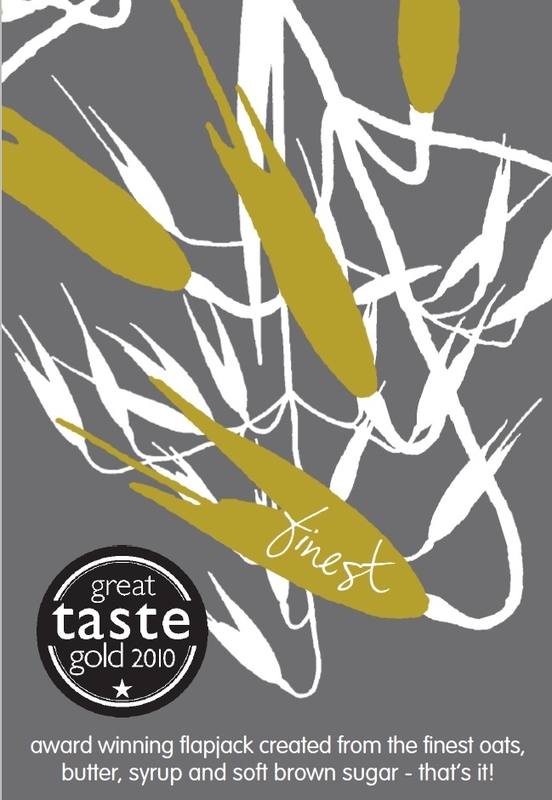 Awarded a triple gold star in the 2006 Great Taste Awards and a further two stars in 2010. 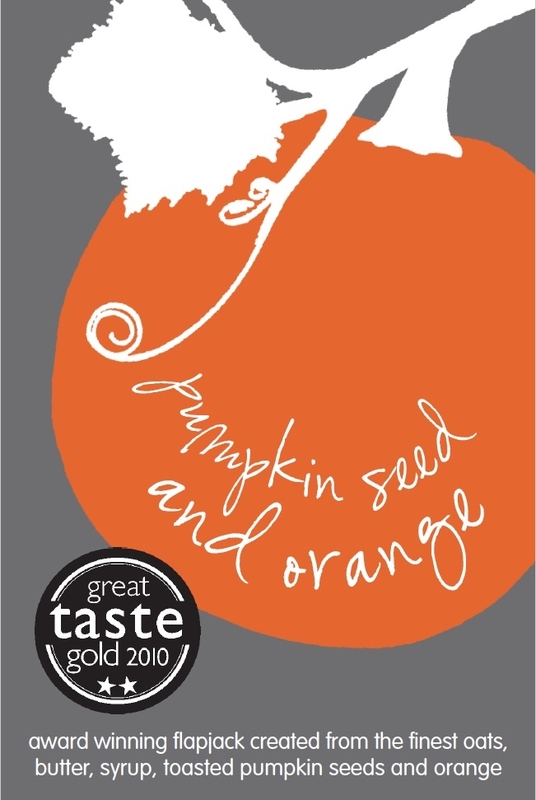 New for autumn 2010 and already a two star Great Taste Award winner. 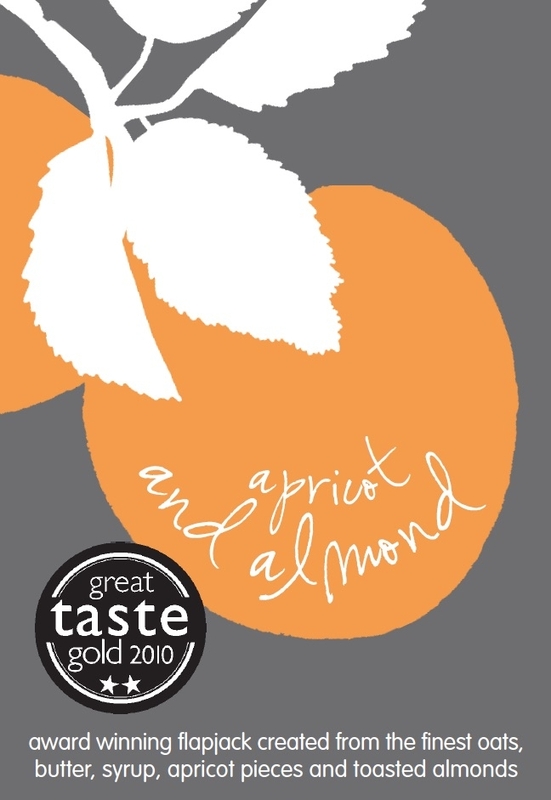 Made with finest toasted almonds and apricots. 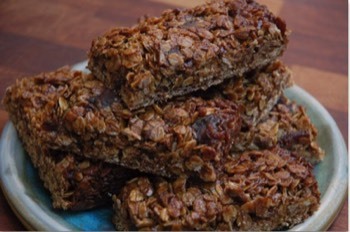 Made using the finest oats, butter, syrup and soft brown sugar - that's it. 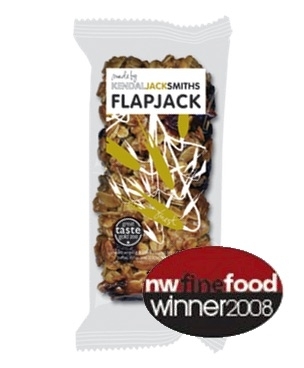 Our Finest Plain Flapjack won the 2008 North West Fine Foods Award for best product out of all bakery and confectionary in the Northwest of England. 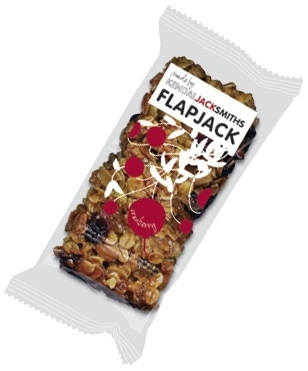 Delicious fruity flapjack created from the finest oats, butter, syrup and dried cranberries. Drizzled with fresh lemon icing. 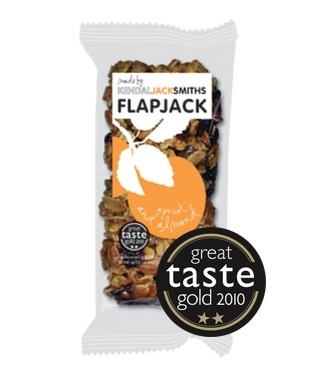 Our Apple and Cinnamon Flapjack is created from the finest oats, butter and syrup combined with finely chopped dried apple and freshly ground cinnamon. 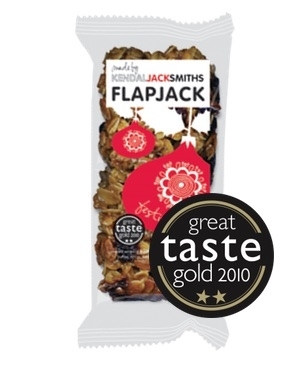 In the 2008 North West Fine Food Awards, this variety scored 12 out of 12 in the judges' final assessment and came runner up in the Baking and Confectionary category, second only to Kendal Jacksmith's very own Finest Plain Flapjack. 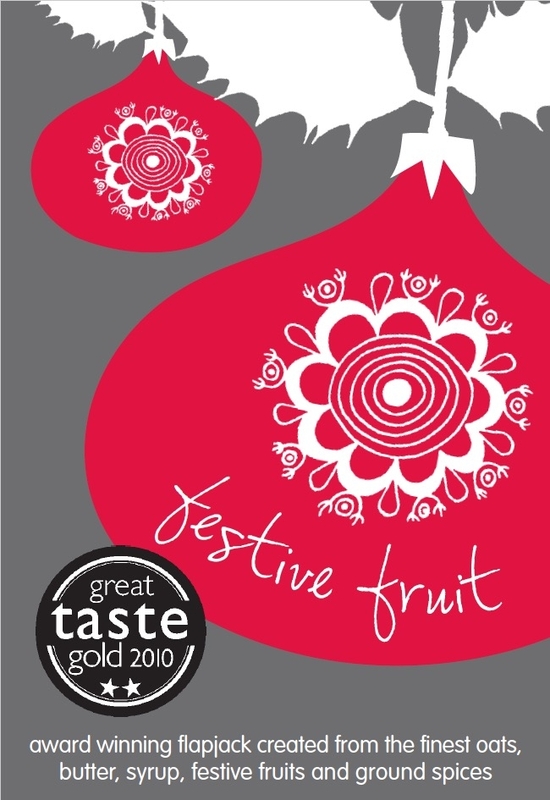 Created from the finest oats, butter, syrup, festive fruits and ground spices. 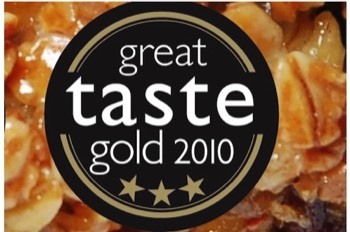 Coming soon for Christmas 2010 as an alternative to mince pies and already a two star Great Taste Award winner. 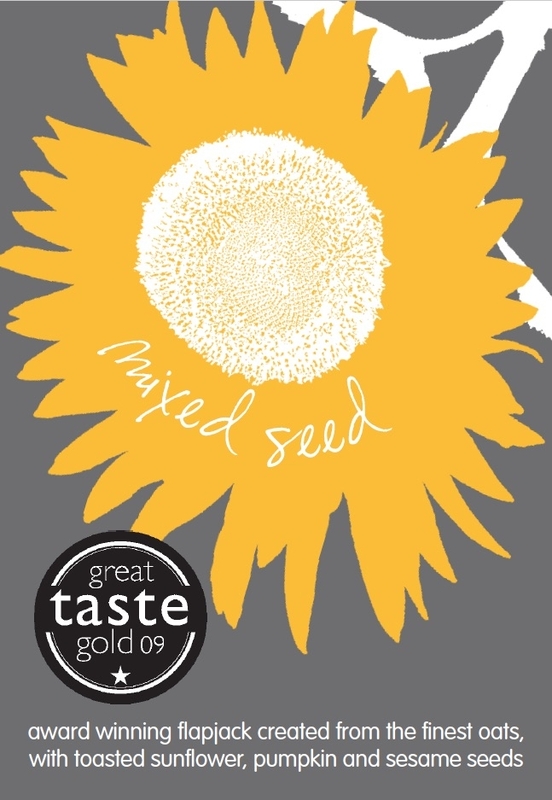 Our Mixed Seed Flapjack is created with toasted pumpkin, sunflower and sesame seeds. 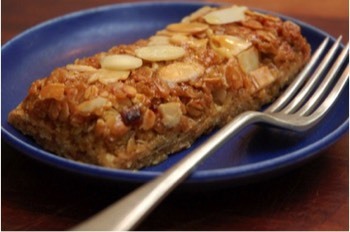 As always, we've used the finest oats, butter and syrup . 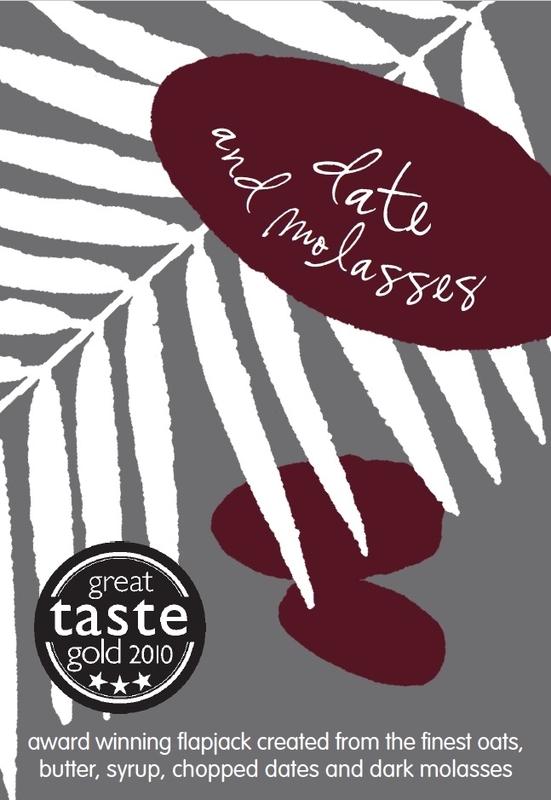 Another Great Taste Award winner. 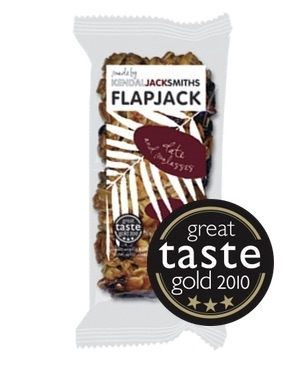 Our multi-award winning plain flapjack created from the finest oats, butter and syrup, then drizzled with rich Belgian milk chocolate. Local photographers Laura King and Tim Foster from Four Walls Photography have taken some lovely photos of our handmade artisan flapjacks! 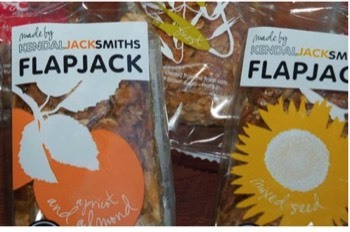 KendalJackSmiths Flapjacks - ideal powersnack for a day out on the fells! We are delighted to welcome new wholesale enquiries. Please call on 01539 731762 to discuss your requirements. Contact us by either calling 01539 731762 or by filling in the form below.